Did you know that Robert Smith of the Cure can play guitar, bass, flute, trumpet and violin? Yes, the 51-year-old rocker is not just a pioneer of New Wave rock, bu t, he is also an accomplished multi-instrumentalist. I think many overlook Robert Smith’s ability. 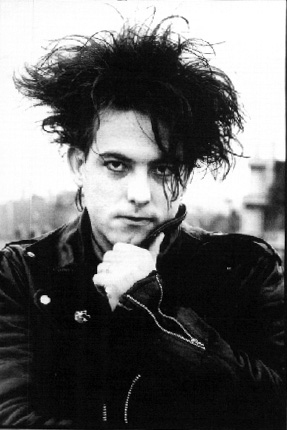 A constant member of the The Cure since their start in 1976, Smith ensconced into the lead vocals and principal song writing role a long time ago and has shown consistent success. His melancholic, somewhat depressing, style of song writing compared with his stage dress has been looked at as an early style of “Goth,” everything. But, don’t tell that to Smith. “It’s so pitiful when ‘goth’ is still tagged onto the name The Cure,” he said about the relationship. The Cure’s modus operandi may seem quite “Goth,” but, like most predecessors of style, it does not mean that they are actually what they created. Smith is actually an incredibly talented musician whose gloomy, punk performance style is infectious. He is also a particularly cogent lyricist. Hence, his spot as #67 on our lengthy top 100 lyricist list. The above video is of The Cure’s “Killing An Arab,” a frenetic punk allusion. Smith, a sucker for good literature (well, I mean who isn’t), displays his ode to “The Stranger,” the existential classic by Albert Camus, in this song. Here are some lyrics to abate your insatiable lyric appetite. Here, Smith places us on the beach with Meursault, the protagonist of “The Stranger,” after he has killed the Arab. Do you want a reason for why he did it? Well, I am sorry that I can’t provide you with one. Still, an excellent read and a true existential masterpiece. English major 101. Give me an e-mail and we can discuss the contents. I have only written two essays on Camus’ novel. Well, we are not supposed to be talking about literature here. This is just supposed to be the poetry of song writing. It is a great lyric in that it portrays the utter crisis that Meursault finds himself in, unknowing and rather uncaring. On to the next lyric…one of my favorite Smith lyric. “The most perfect of songs, few words, little music.” Smith said this about “Accuracy” and he is absolutely right. It is short and, well, not so sweet. But, its surrealist lyric is most definitely a thing of beauty. This is the entire lyric. Could it be a lyric exploring a concupiscent attraction? A, sort of, surreal look into fatal longing and pin-point seduction. The odd archery of love. It is brief, but, it invokes numerous questions, and, good lyrics do that. For that, Smith has worked himself 33 spots in on our descending list.